Find My Workspace lists over 95% of the business centres market in Padiham. Simply click Request Quote to check pricing for one office, or Add to Basket for multiple offices. This centre takes care of all utility costs, and with no business rates if this is your only office, you’re free to concentrate on the important things. With weekly or monthly terms, 24/7 access, and a manned onsite security team with CCTV, this space is designed for the flexibility to work, however suits you. 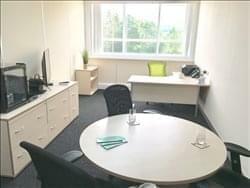 All offices are equipped with the essentials such as ultrafast 100Mb Fibre broadband and telephone- with calls included. They’re also packed with extras such as your own personal fully stocked fridge, Nespresso machine, colour printer/copier and even TV subscription.